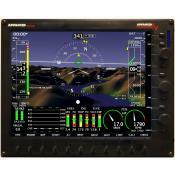 The Advanced Flight System series of electronic flight displays can display either a full featured EFIS flight display and/or complete engine monitoring. 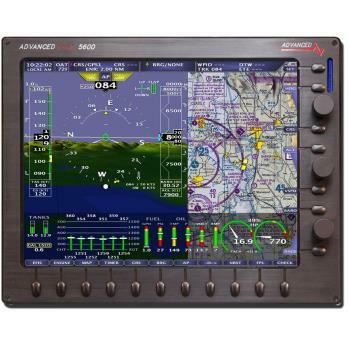 Differing only in size, these Advanced Flight Systems have one of the brightest, clearest displays of any EFIS type screen on the market today. You can select whether you want to see the Primary Flight Display, Engine Monitor or a split screen combination of both the Primary Flight Display and Engine Monitor. With a two screen system (of any combination) you can even swap the displays between the two flight system screens! Other features include aerospace grade AHARS, GPS and/or NAV interface, optional battery back up, user programmable checklists, voice alerts, and weight and balance computation. 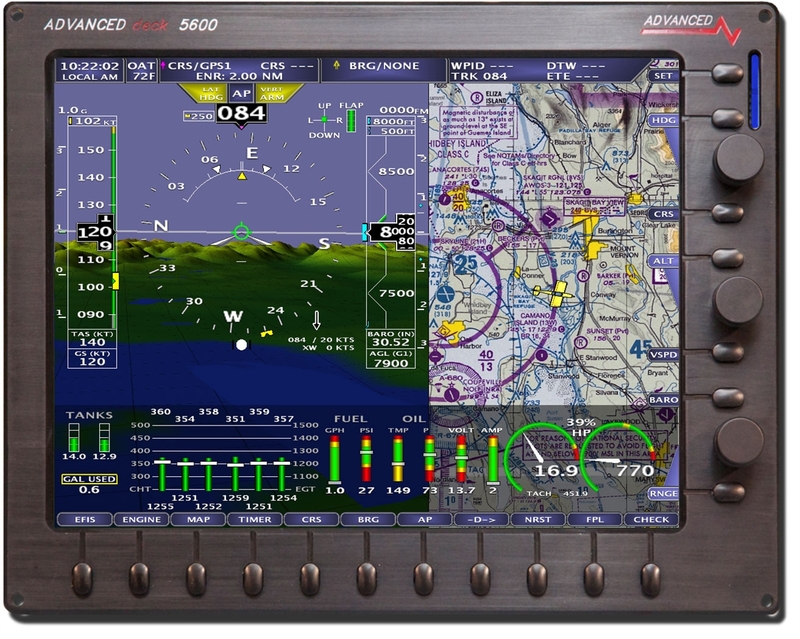 EFIS — Unlike other systems, our horizon display is generated from an internal Crossbow AHRS that is based on certified boards and software. 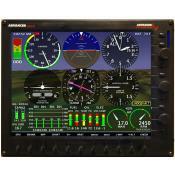 Our display features a clear and easy to read airspeed indication with user adjustable color ranges, the altimeter is set using a familiar and convenient adjustment knob (other systems require numerous buttons presses), and our heading display is generated from a remote mounted magnetometer. The heading can be displayed on a tape across the top or with our new EFIS DG©. Other flight instruments functions include a slip ball and user-configurable g-meter. 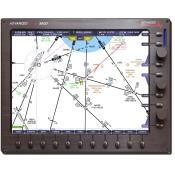 Aircraft Monitoring and Data Acquisition System — With the optional engine monitor function developed from Advanced Flights successful AF-2500, 3500, and 4500 monitor, the system continuously monitors and displays not only all aircraft engine data but several other aircraft functions as well. Unlike other systems, the display can be customized to the user's preference. Any of the standard instruments can be eliminated or added to the screen. Mapping — Our ADVANCED Moving Map will interface to most external GPS receivers giving you a large and easy to read display, It currently displays public and private airports, terrain, obstacles, airspaces, state lines, navigational beacons, intersections, and water. Airport information is also displayed; including runways, frequencies, traffic patterns, elevation, pattern altitude and fuel availability. Add our optional XM receiver module for XM Weather. 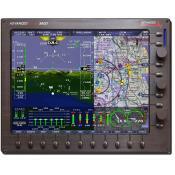 Traffic can be displayed on the map from a Zaon XRS, Garmin GTX330 Transponder, or the NavWorx ADS-B receiver. Maintenance Logs—Keep track of oil changes, Annual inspections, ELT Batteries ,Filters, Brakes, and more.